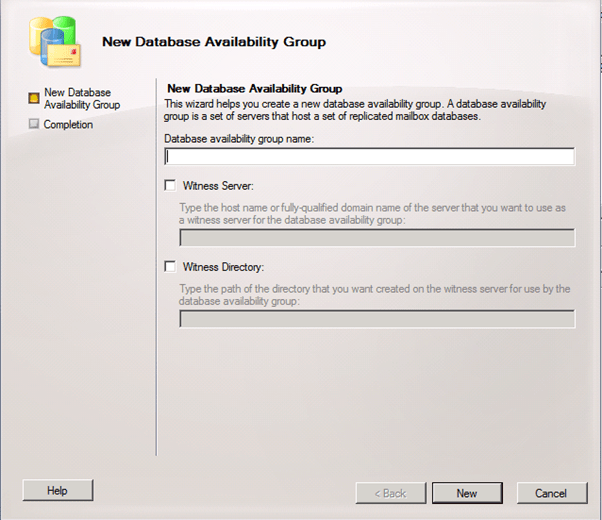 Answer: To configure\create Database availability Group in Exchange 2010 we need to have a minimum of two Exchange 2010 mailbox servers. 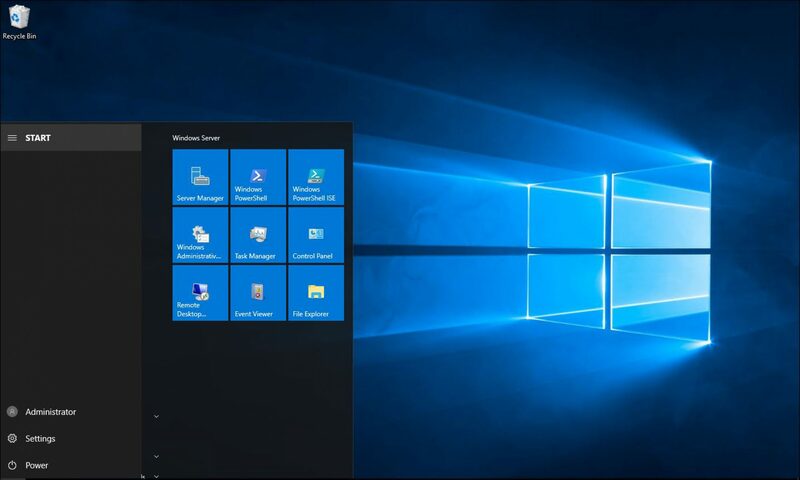 Exchange 2010 can use up to 16 mailbox server which means any mailbox database can be replicated to 16 mailbox servers at the most. 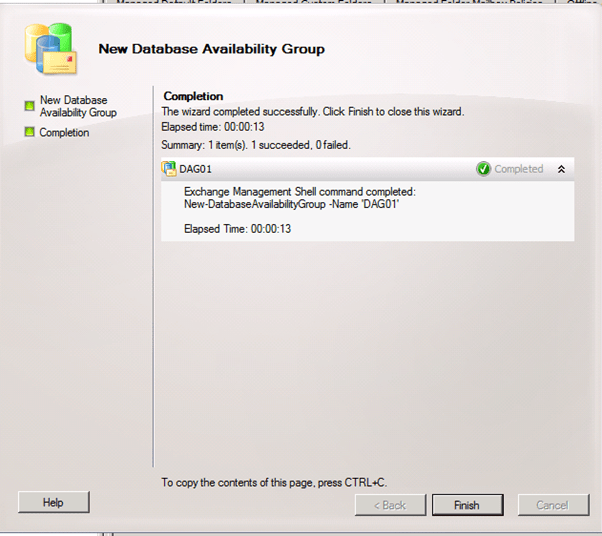 Go to Exchange management -> Organisation configuration -> Mailbox – > Database Management tab. 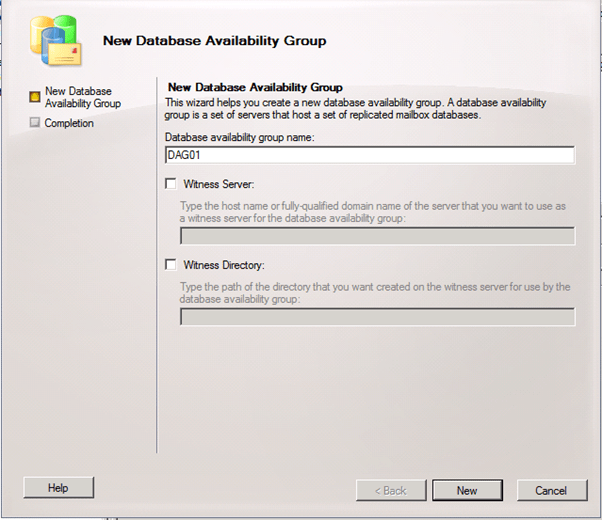 In the right action menu click on the New Database Availability group and follow the wizard. After the wizard is completed we need to assign an IP address to the DAG using the following commands. Use this command if it will be located in two subnets (If you have two mailbox servers in two different subnets). The next step is to configure database copy which I’ll publish how to do it soon.